Mother Barahi is the part of Seven Mother Cult ( Sapta Matruka ). As per Markendya Purana, Mother Godess Barahi emerged from the boddy of mohamaya karunamayi Godess. Her face is like a bore. Her hands are adorned with chakra (wheel & sword ) and khadaga. The mother God is giving her all blessing to all devotee and protect them from all evil effect. As per Tantra rules, the mother Goddess Barahi is being worshiped during right night particularly after sunset and before sunrise. Her body color is just like smoke. That is why she has been worshiped as many saints as Dhumra Barahi. Goddess worshipers worship the Goddess in process called bamamaraga upachara and offered wine, fish, flesh, rice through some secret rituals. Some Goddess worshipers believe mother Barahi is Abhaya Pradayani and Sidhi Pradayani ( Protector of all evil aspects and gives all well beings to its devotees ) As per saktaism and Baisnvism the Goddess is being worshiped either standing or seated on Baraha ( boar ) or Padma ( Lotus) She also worshiped some time either standing or seated on serpent, Lion & Garuda ( the supreme bird of Hindu Mythology . Goddess worshipped with a child on her lap which symbolizes her as kalaynmayi to all.Tantrik idol Barahi hold Fish in her one hand and a skull in other hand. Mother Barahi is being worshiped on twelve anmes namely Panchami, Dandhanatha, Sangyetha, Samayeshwari, Samaya sangyetha, Varahi, Varthali, Bothrini, Arikni, Mahasena, Agnachakreshwari, Shiva. Barahi emerged from Mother Adishakti to kill the demon as revelas from Lalita Sahasrnama. 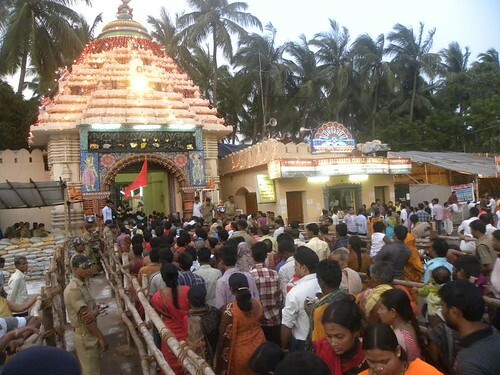 The temple of Mother Barahi is at Balisahi, Puri and she is connected with some rituals f Sri Jagananth Temple. 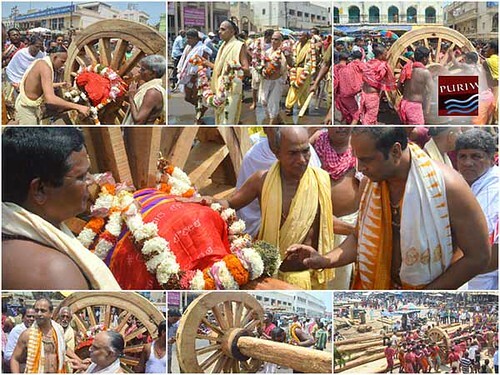 Mohaprasad of Lord Sri Jagananth is being offered to Goddess Barahi on each day. 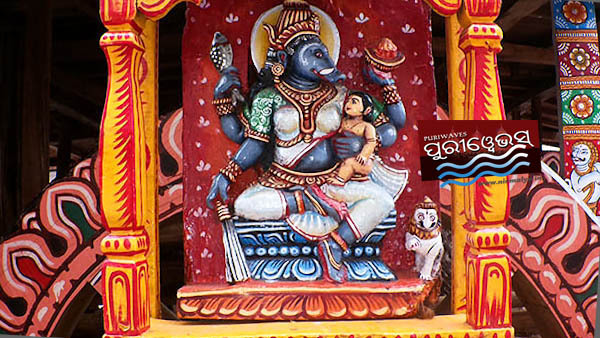 As per local belief Mother Barahi is one of the the main Goddess of Sri Jagannath Temple Puri. 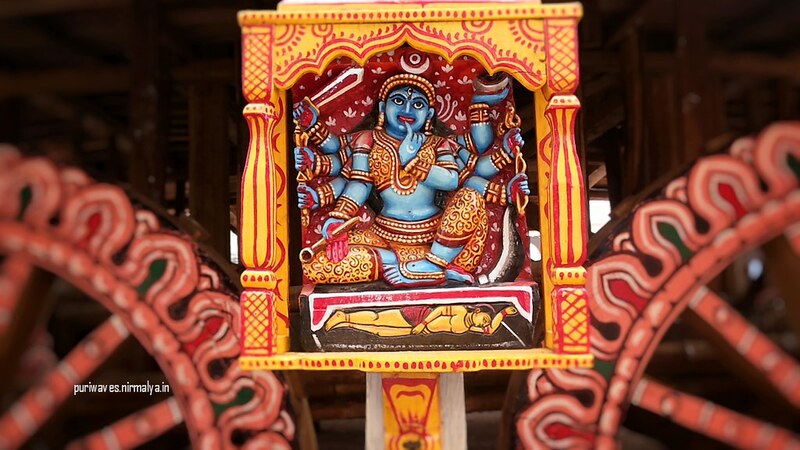 Godess Barahi is also worshiped as side Godess ( Parswa devi ) of Darpadal Rath of Devi Subhadra during Car Festival ( Rathyatra).